The Queen West Art Crawl (QWAC) is a charitable organization designed to celebrate and promote the art, culture and diversity of Queen West in Toronto. 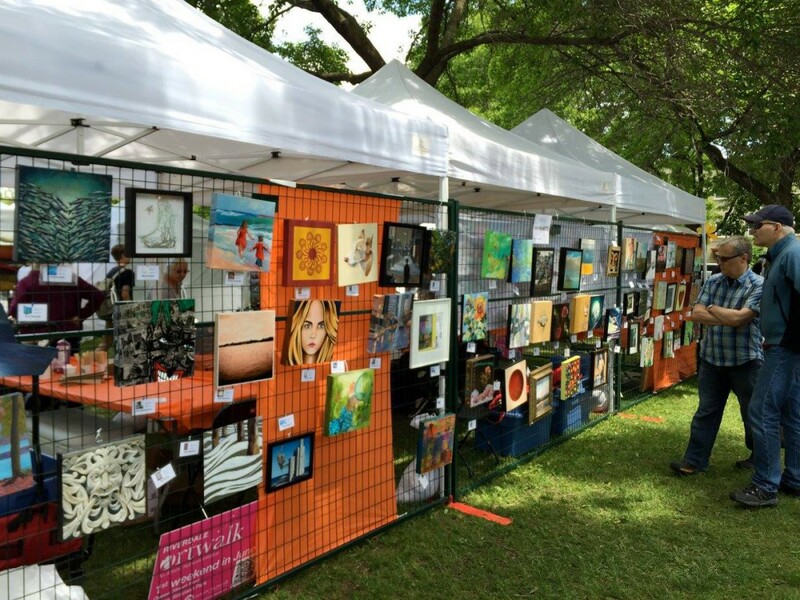 The cornerstone of QWAC is the Outdoor Art Exhibition in beautiful Trinity Bellwoods Park, which draws over 60,000 visitors annually. The Art Exhibition features a juried selection of the province’s best artists and artisans, and also showcases a Kids Zone, Performance Zone and Toronto’s best food vendors. With 15 years of establishing lasting partnerships with galleries, hotels and businesses in the Queen West Community, the Queen West Art Crawl has become a staple event for the community and tourists alike. The hub of QWAC was the Outdoor Art Exhibition in Trinity Bellwoods Park (presented by TD Bank), Saturday and Sunday, October 1-2, from 11 am to 6 pm. The art and cultural festival featured 200 of Canada’s most innovative established and emerging artists. Visitors purchased art, took in live music and bought sweet or savoury treats at popular food vendors. Returning by popular demand was a beer garden, sponsored by Steam Whistle. QWAC also partnered with OCAD university to showcase its top graduates in an innovative installation. Finally, there were exciting new interactive art activities for both adults and kids, including the popular Tread on It t-shirt printing, Blank Canvases Kids Zone, and interactive dance led by Ecstactic Dance Toronto. Riverdale Art Walk 2017 June 3rd and 4th! Riverdale ArtWalk is a FREE two-day, public fine art exhibition showcasing established and emerging artists in Jimmie Simpson Park in Toronto’s flourishing Queen East arts district. The first outdoor art show of Toronto’s season, the Riverdale ArtWalk is a great place to connect with artists and buy that perfect piece for your home! Last year, the festival hosted over 180 participating artists and the inclusion of local community groups, entertainment and food vendors. Now in its 19th year in the Riverdale/Leslieville area of Toronto, the festival has grown to reach an audience of over 20,000 art enthusiasts and supporters. Through new partnership opportunities with the local BIA, the Riverdale ArtWalk expects to continue to grow. 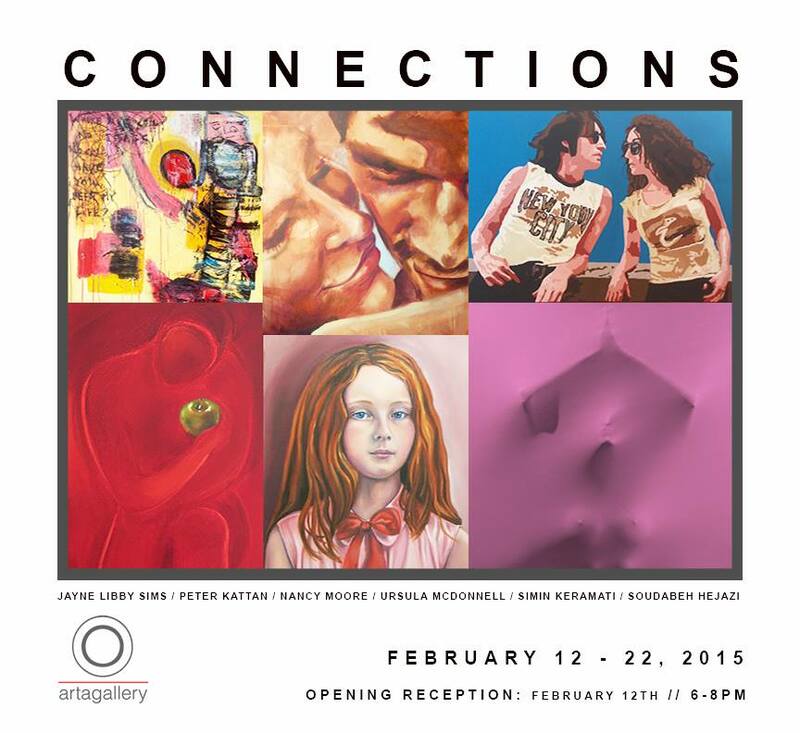 I am excited to have my portraits included in this upcoming show. The Connection is an intangible thing that controls a multitude of lives at any given moment. It has the power to break barriers and move walls. It can be blamed for the destruction of worlds, both external and internal. This show will embody the multitude of emotions this small word, “Love”, brings.